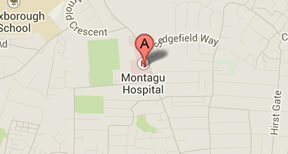 As the most experienced Simulation facility in the Yorkshire and the Humber region, Montagu Clinical Simulation Centre is here to help you. We are able to assist in the training and development of your faculty to deliver a number of courses developed by MCSC. MCSC faculty can quality assure simulation-based courses and teaching that you deliver to maintain high quality course delivery across the Yorkshire and the Humber Region. After attending our Faculty Development courses, we will give you access to many useful resources via this website. Yorkshire Maternal Emergency Training is the regional obstetrics skills and drills training programme which aims to provide standardised curriculum-based training in maternal emergencies. Click here for the YMET webpage. The MCSC supports the programme by offering a bespoke YMET Train the Trainers course to equip obstetric training faculty with the knowldge and skills to deliver the standardised training. The Centre also maintains the regional database for YMET, providing data on delegates, course faculty and their respective training centres. This one day course aims to provide a comprehensive introduction to the underlying principles behind simulation-based training. It covers topics such as scenario design, human factors and debriefing & facilitation skills. Click here for a poster or contact us to arrange a bespoke course for faculty in your facility or to request dates for individual booking.